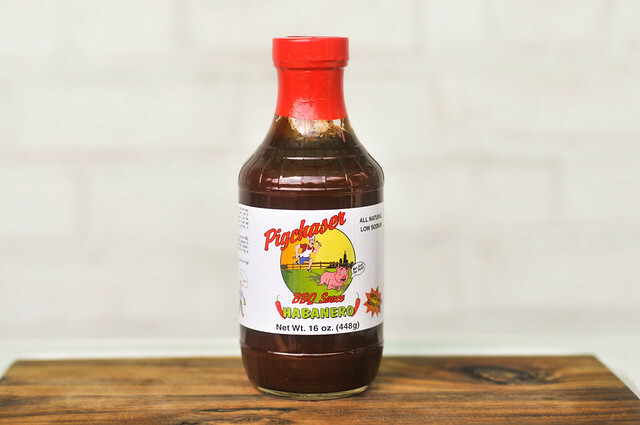 Pigchaser Habanero BBQ Sauce delivers on the fruity heat of those scorching little peppers, while also delivering a sweet and tango tomato baste that makes it an excellent barbecue sauce, living up to all parts of its name. 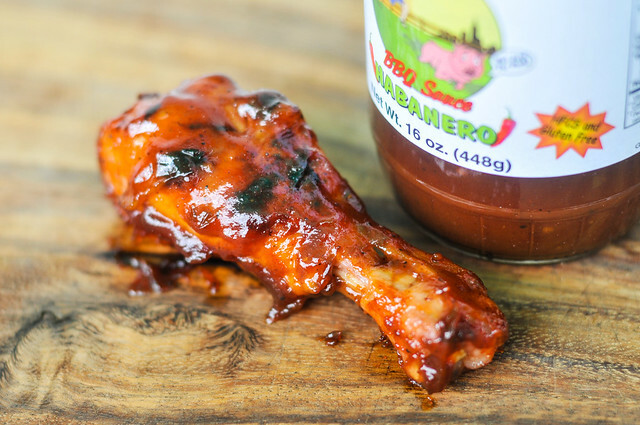 Back in the late spring, I was gifted a bottle of Pigchaser's Pineapple/Mango BBQ Sauce, and while I didn't think that one quite lived up to the label "barbecue," I was still eager to try some of the other Pigchaser sauces. It just so happened that the pig chaser himself, Ron Slawek, saw my review and was confident that within his line-up of unique sauces, there were ones I was sure to love. 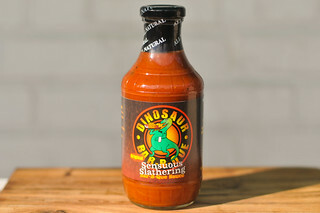 So he graciously sent over two more bottles for testing, one bacon-based, the other habanero. Being a man who seeks out heat, I started with the spicy, my second in a series of five different Pigchaser sauces. 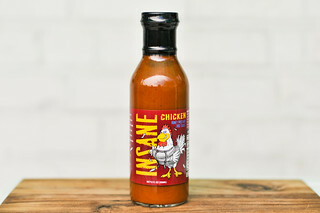 On the first whiff of this sauce you're immediately you're hit with the fruity and spicy aroma of habanero. There's a strong honey sweetness that mixes in, keeping the heat from being so dominate that it stings the nose. 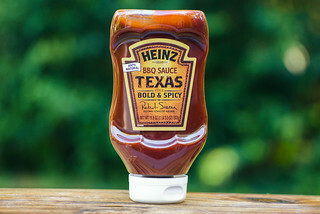 Beyond that, there's some ubiquitous barbecue parts that are also prevalent, mainly tomato and vinegar, with onion and garlic playing back-up roles if you smell deep enough. This is one thick sauce. Like a new bottle of Heinz 57, some coercing was required to first get the sauce flowing out of the bottle. Once it was going, a burnt orange sauce with lots of visible spice specs slowly made its way into the bowl. The smooth, almost jelly-like consistency was broken up by some veggie chunks here and there. Held from a suspended spoon, the sauce first fell in one glob, but the majority of the sauce remained clinging to the silverware. This sauce starts sweet and sugary with a strong honey flavor. This sweetness quickly turns incredibly fruity, with a heavy hit of pineapple and some habanero. A fleeting hit of vinegar then brings a tang to the sauce before the heat of the habanero takes over all. As the sauce settles and then leaves the tongue, the incessant burn of the chiles set your mouth aflame, which creates a desire for another spoonful to get that original, soothing, sugary flavor back—it's a vicious, and delicious, cycle. This thick sauce coated the chicken well, if not a little blotchy. It baked in great over indirect heat, and then had some nice light charring over direct heat. The honey sweetness played heavier into the overall flavor after cooked. The sugary flavor persisted longer than out of the jar, but the habanero still had its say. The heat delivered after cooked was more manageable—hot, but in a very pleasing way that delivered flavor and spice without an extreme burn. Ron was right, this sauce is completely unique from the previous Pineapple/Mango version I wasn't so hot on, and I really loved this one. I'm a heat seeker, and when a sauce is branded "habanero," I want all the fruity flavor and heavy heat that comes along with that. 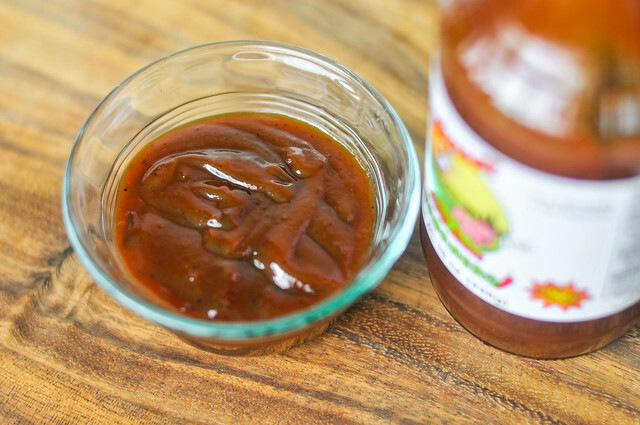 Pigchaser's sauce delivers this, along with a sweetness and tomato tang that makes it rightfully a barbecue sauce as well. The layers of flavor were pleasing and I can imagine a lot of things this sauce can do good on. First and foremost, this would make an excellent wing sauce. It was great on the chicken legs, but with wings, you'd get more habanero heat for your money. It could also be great on pork or seafood, just use caution, as while the heat is great, it could also mask some flavor of the meat if you're not careful. All in all, I'd turn to Pigchaser's Habanero BBQ Sauce if I'm ever in the mood for some spicy barbecue done right.